From road-colouring tyres to mountaintop EV charging points, the automotive industry has gone into an April Fools’ Day overdrive with spoof news and launches. Want to see someone you really love like your partner or pet each time you open your car door? Skoda’s coming to your rescue with its ProjectaPal lighting system. 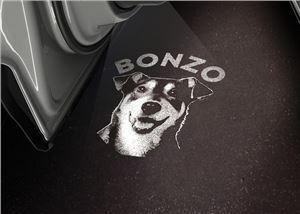 This all-new system projects the image onto the road surface below the door, providing an instant reminder of a loved one whenever you get in or out of your car. Owners can create a bespoke reminder or link to their diary so they never forget to put their bins out. 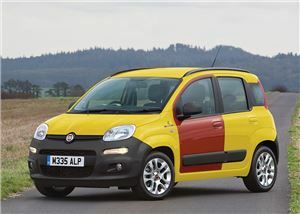 Created as a tribute to the iconic Fiat Cinquecento that starred in several episodes of the cult TV show ‘The Inbetweeners’, the Panda ‘Hawaii’ will be offered with free insurance to all first-time, teenage driver. Fiat has also brought its iconic 899cc overhead valve engine back into production specifically for this model, as its 40PS makes it a great little runner, and won’t let it get up to dangerous speeds. 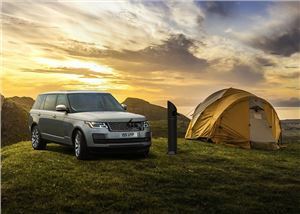 Land Rover has installed the UK's most remote electric vehicle charging point on the Isle of Sky. Ideally situated for drivers that might need a mid-adventure top-up charge, the EV point it located around 15 miles from the nearest road and has been designed with plug-in hybrid 4x4 drivers in mind, so they can top up their battery and take in the electrifying view. MG has added road-colouring tyres to the MG3. The tyres are coated with a water-soluble dye that covers the road as it drives, before fading off shortly afterwards. 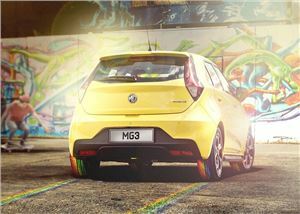 Whether on your daily commute, stuck in traffic on the M25, or visiting your mother-in-law for the weekend, MG says its new tyres are guaranteed to add a splash of colour to your day. Car buyers will soon be able to view a vehicle in 3D without ever leaving their living room, thanks to the latest ground-breaking innovation from CitNOW. 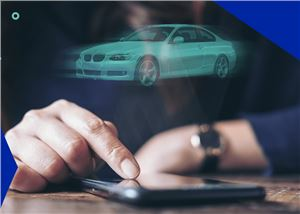 The automotive video specialist has developed technology that allows purchasers to generate a hologram of a car they are interested in buying via their smartphone. For drivers who love to exercise their vocal chords in the privacy of their car, Europcar is giving customers special discounts when they break into tune. The new ‘EuropcarVoice’ is being installed in selected vehicles for a limited period. Drivers who put their vocal prowess to the test could win up to 40 per cent off their rental. 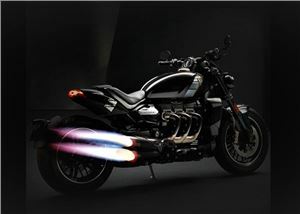 Triumph Motorcycles has announced the addition of jet engines to its latest bike. The two powerful jet engines, which are fitted in lieu of standard exhausts, are each capable of producing a combined 1000PS during full afterburner and are engaged through the switchgear-operated “Rocket” mode. Errr, there has already BEEN a REAL Jet powered road bike - with a Rolls Royce badge to boot.